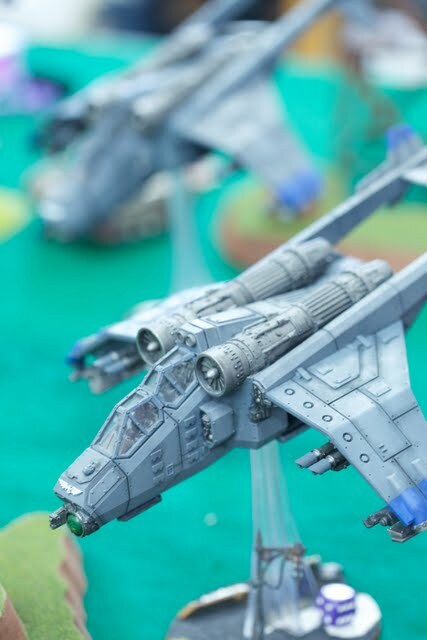 So the Sprue Posse tournament circuit continues to gain influence. I'm happy to announce a partnership with NOVA. We are now a sanctioned qualifier for their invitational tournament next August. What that means is that top performance in our tournament circuit can earn you a "golden ticket" to the NOVA invitational. Need specifics? Well we can start at our very own invitational tournament right here. Win our invitational and you've got a slot at the NOVA invitational and their cash prize pool. That's right. Our invitational in December will deem you among the best 40k players in the nation and earns you a seat in a 32 slot tournament against the best of the best. Regional dominance means national prominence. Want to get into our invitational for a shot at this? Then win our next open tournament in October and you graduate for a chance to do it. See you on the circuit. **Best general also wins an invite to an upcoming invitational tournament. Congratulations to Brad Townsend for winning this event and earning a spot at our Sprue Posse Invitational in December. Full standings and Round Results are available here. Photos of the event and army lists of the competitors are below. Most people are aware of the ruleset of our tournaments. I post them with every RTT announced and they all follow the same formula. What I thought I might add some insight on is why we run them the way we do. Every detail of our tournament is set for a specific reason. Here is a brief rundown of our tournaments deconstructed for other TO's and players who are interested. This one is asked quite a bit. Why do we run our tournaments at this point level? 1750, 1850 and 2000 are more conventional. The reason is simple: Time. We require more than the conventional 3 rounds of most RTT's (more on that below) and in the interest of adding more rounds to our events we have to keep our rounds down to a slim hour and 45 minutes. That mandates a smaller point size, at least at the RTT level. In an event where there are less rounds or more time, we are happy to feature different point levels. In fact our 3 round invitational in December will be at 2000 points and have longer rounds to accommodate that. We use the Swiss pairing system and that mandates a certain number of rounds based on the number of players in the event. In an event with more than 8 players 4 rounds are required to ensure two players don't finish the tournament with undefeated records while never playing each other. It's really unbecoming to me when I show up at a tournament that has terrain with zero thought put into how it will impact game play. 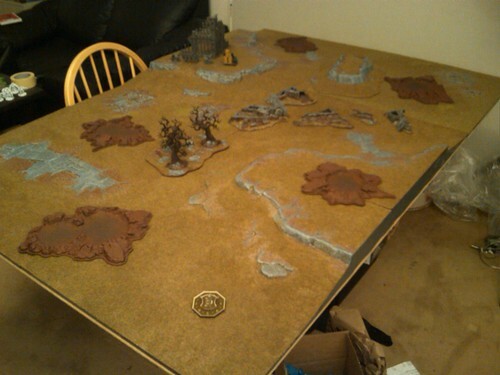 I went to a tournament once where one table I played on had major line of sight terrain all over the table but zero terrain that provided cover. 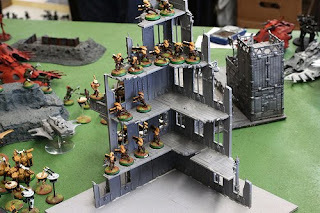 Another table I played at was the equivalent of a city fight with over half the table full of buildings. 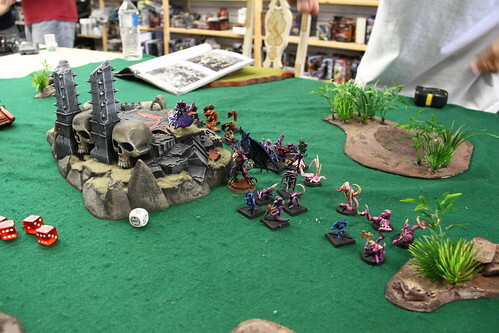 We take terrain placement seriously at our tournaments because we know how much it can impact a game of 40k. All terrain is carefully measured to only 25% of the 4x6 game play area. We then use an equal amount of three types of terrain: area terrain, line of sight blocking terrain, and cover granting terrain that doesn't hamper movement. We ensure it's like this at all of the tables in use. 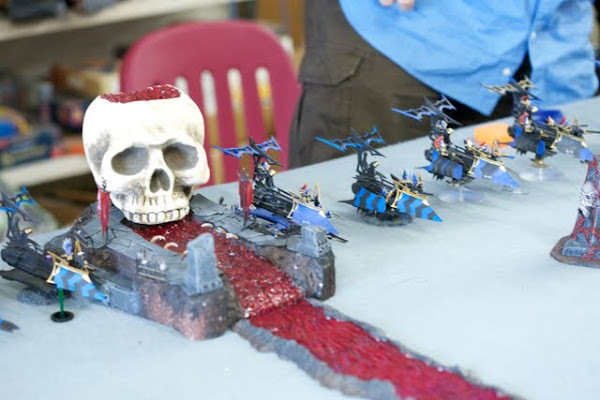 I never want to hear a player complain about the terrain at one of our tournaments for not being in line with the rule-book. If they do then we aren't doing our job. 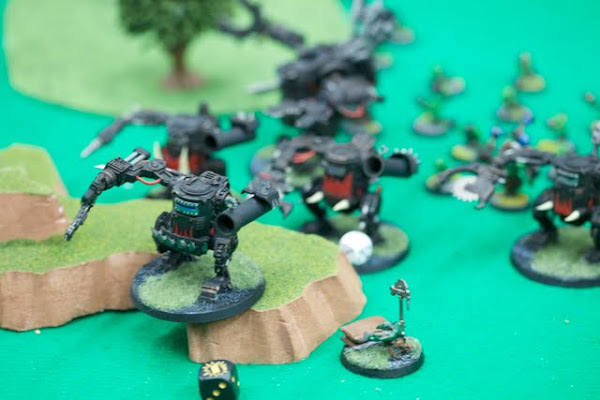 Unlike some tournaments which often have random pairings or opposite seed pairings, Sprue Posse Open tournaments use Swiss pairings and we use the swiss perfect software to automate this process. Some tournaments offer secondary objectives or game tie breakers to prevent this. With Swiss Pairings we don't feel it's necessary. A tie is simply that. We do offer tie breakers but that's at the overall standings level and not the game level (see below). The primary reason for this is simplicity. I want games to be a black box from the standpoint of the TO. Beyond judging calls, we only want to know if the result is a win, loss or tie. We don't care about margin of victory, victory point totals, or tracking of additional objectives from round to round. The game result is all that matters, and we look at all games in a vacuum and simply tally the results for pairings each round. 1 Point for a win, 1/2 a point for a tie, zero points for a loss. Battle points are a more conventional tie breaker method in RTT's. We use W/L/D instead and therefore resort to Swiss pairing tie breakers instead. I outlined how that works in this article and explained here why we don't use battle-points. I went over this concept in this article here. If there are an uneven amount of players, byes are then issued. We never use ringers in tournament matches. We use book missions and deployments. All of our missions fall under the standard 3 deployment or missions outlined in the 5th edition rule-book. Our tournaments are interested in providing transparency on how judges are going to rule to all participants well ahead of the dice roll. The most fair and efficient way to achieve that is by using a FAQ. We use INAT FAQ because it always defers to GW FAQ's first, is readily available, extremely thorough and routinely updated by those who authored it. We use INAT FAQ so we don't have to create our own. I like looking at pretty painted models as much as the next 40k enthusiast but I also like people fielding the best possible army and that's why we don't have painting as a requirement for entry. 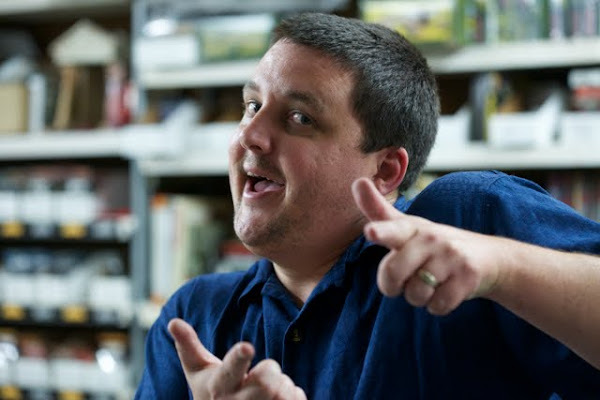 If that brand new codex that just came out 2 weeks ago means you can cobble together some models but not paint them, I'd prefer you introduce that to the meta-game, rather than using your old tournament army which has been painted for the last 6 seasons. 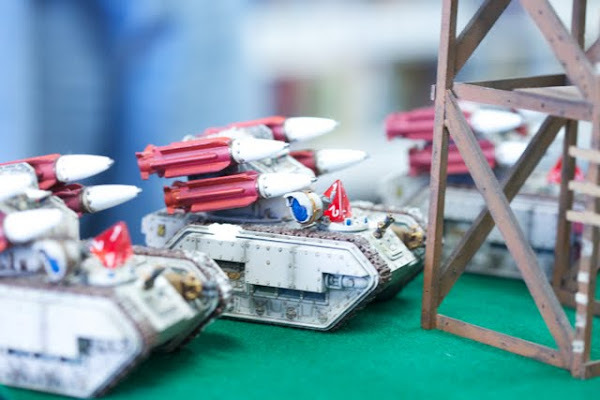 Likewise if you read about some exciting new tech that you can add to your army to make it better, we don't want painting standing in the way from using that in our next tournament. 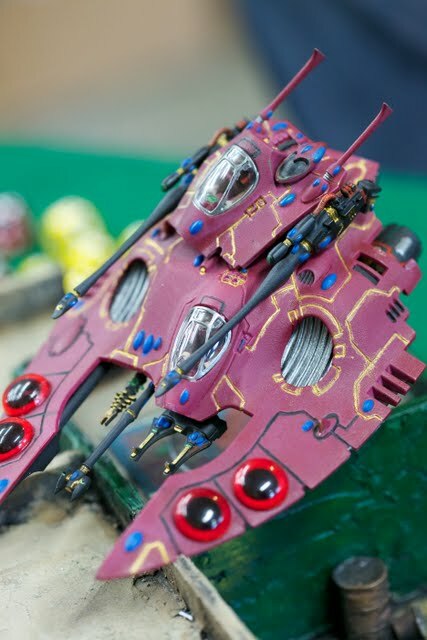 Conversely, just because we don't require painted armies doesn't mean we don't celebrate those that look good. 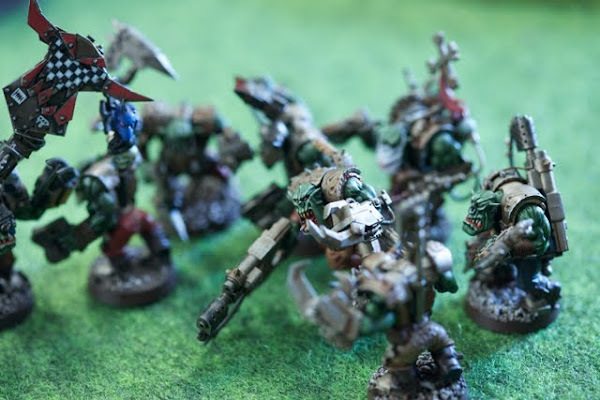 If your army is painted and painted well you may get a piece of the prize pool. It just won't impact your generalship score in any way. Comp is really just an arbitrary way to enforce list creation rules. 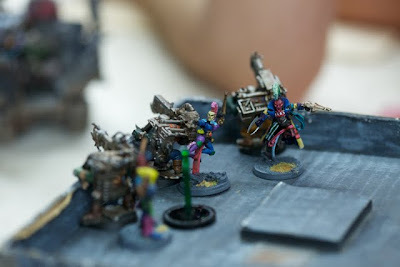 If we wanted to do that we would just enforce things like: "Only 1 HQ choice" and "No more than 2 Elite slots" or "Limit one Fast attack when playing Blood Angels" instead of having some murky panel of judges who rated your list for theme, fluff, or whatever other arbitrary variable we wanted. However we rather not have weird rules about force organization or special characters to begin with. Any list that confines to standard force organization and the latest codex of any army is legal and just as valid in our eyes as any other. Pretty simple. I want to stress that our tournaments do care about sportsmanship. We just don't use player judged sportsmanship because we feel it is often used as a hammer between opponents to impact who wins the tournament. From a scoring standpoint we only care about generalship. We don't have sportsmanship "scores" at all. We simply use a yellow and red card system. If you cheat you are warned, if it's particularly egregious or you're a repeat offender you're given a game loss (yellow card). If you continue unsportsmanlike behavior you can be disqualified from the tournament or our circuit entirely (red card). So far so good on that. In the past we've had some minor rules disputes that were easily resolved. I haven't had to give out any cards yet at any of our tournaments. I'm sure I probably will some day. I hope and expect it to be a rare occurrence. All games at our tournaments are ranked and all tournaments have a K value. Currently our 12 man RTT's have a K value of 10. In larger tournaments we'll assign higher K-values and each game will have more weight. I think that about covers all the details about how we run our tournaments. 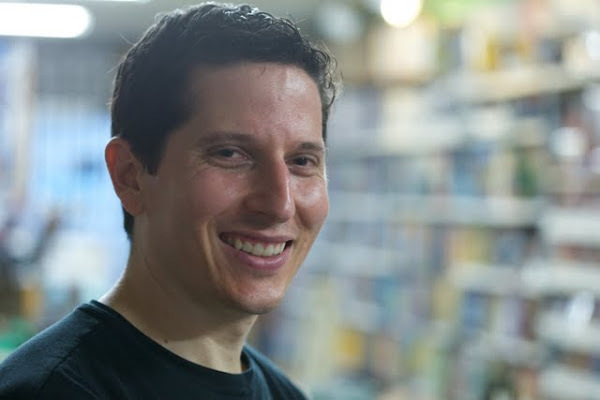 If you are interested in running something similar shoot me an email and I'm happy to answer any questions about using this method for your FLGS. 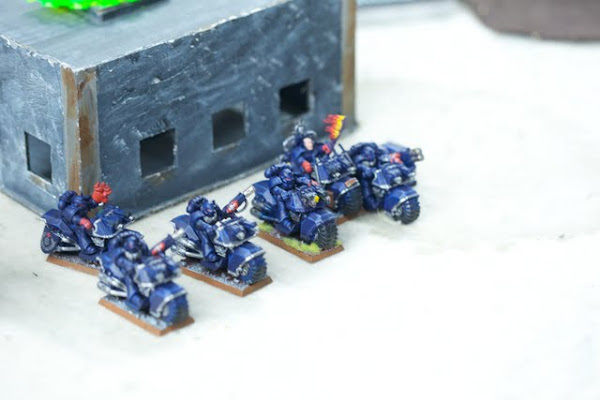 40k Tournament Organizing: The proper way to run byes. I've been having a conversation over at another popular blog about what the best way to handle uneven tournament entries might be. That is: you're hosting a tournament an 11 people show up. Now you've got uneven pairings. What's the best solution to accommodate everyone? Option 1: Don't allow an uneven number of tournament entries. This is a solution although it's clunky from a logistical perspective and is making a number of assumptions. How do you cut off your tournament entries? Do you only accept two entries at a time? How does this impact real time web registration? Do you just keep signing people up and then finally cut the last guy if he's an odd man out? What happens if you accept an even number but then have a no show? What happens if someone drops out halfway through the tournament pairings and now you have an odd number again? This really isn't a solution because it doesn't solve all the potential problems. You might delay a problem but what you really end up doing is frustrating tournament participants and you don't have a way to accommodate drops or people who fail to show up. Option 2: Use a ringer. 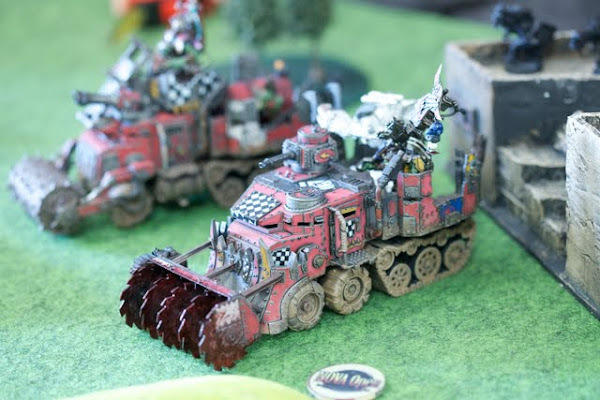 I find this practice totally bizarre but in the backwards world of 40k tournament play it's used and even accepted in some circles. Simply put, the odd man out at the tournament plays against a member of the TO team in a rated match. How does one make this fair? That's anyone's guess and frankly impossible to define in any sort of transparent way. What army should the ringer play? What is the ringer's skill level? Is the ringer bringing his A game that one early round and then going easy on subsequent opponents? Is he playing an army that he's familiar with or one that he is bound to make mistakes with? How powerful is the codex? Who built the list? I find it pretty ridiculous that a person actually involved with organizing the tournament should be influential in any way aside from establishing the rule-set and judging, but the ringer does just that: A party potentially looking to change the outcome of the tournament standings and being empowered to do it in the most direct way possible. Option 3: Use a bye. I consider this the most straightforward and elegant solution. One guy simply doesn't play each round and is awarded full points for his efforts. 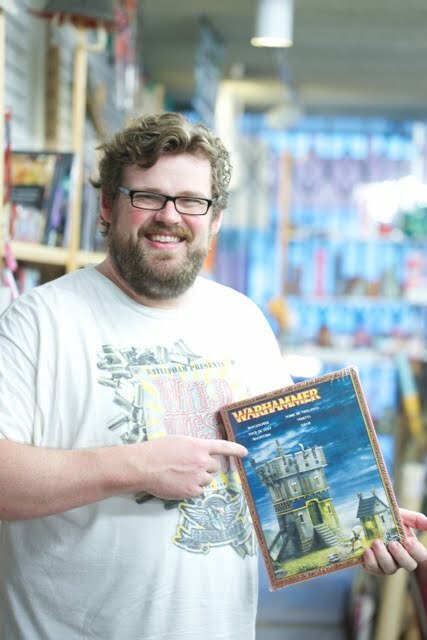 He is free to use that free round however he wishes: He can play a game of 40k for fun against a TO or spectator. He can go get an early lunch. He can go home and come back. Whatever. Why is this the best way? Because it allows an uneven amount of entries while also respecting that each person awarded a bye is done so in a totally random way and all byes are considered equal. I'm working under the assumption that using bye's is the best possible solution when dealing with an uneven number of tournament participants. The remainder of the article talks about how to successfully implement that. How to implement the bye. What does the bye mean for the tournament participant? The player getting the bye is awarded full points for his pairing (or lack thereof). He is not punished in any way for drawing the bye. He simply has a free round and is awarded full points. It's important to award full points to ensure that the bye doesn't rob a player of the chance to run the table at the tournament with quality play. 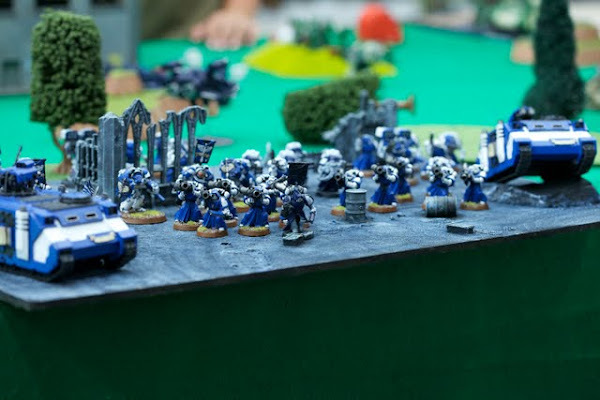 Giving only partial points puts the player and then the TO in the uncomfortable position of "playing from behind" without ever actually seeing a game of 40k. Unless bye's are used as a reward for higher seeding, players will only ever get a single bye in any tournament. Players that receive a bye in an early round are ineligible to receive one in later rounds. Further, with the notable exception of the very first round, byes are never given to players on the "winner's track". That is, beyond the first round of the tournament, the bye is always given to lowest ranked player who has not already received a bye. This ensures that bye's have the least amount of impact possible on the actual outcome of the winner of the tournament. Players who win the tournament will almost always have avoided a bye (unless they got one in the first round) and a bye will rarely be a deciding factor between two top ranked players at the end of a tournament unless the byes were given as a reward for seeding. This article aims to dispel a number of notions. One is that bye are bad for the player-base. While not ideal I think they are the least worst solution behind either using a ringer or simply enforcing an even numbered player pool (which really is unenforceable for the reasons I cited above). 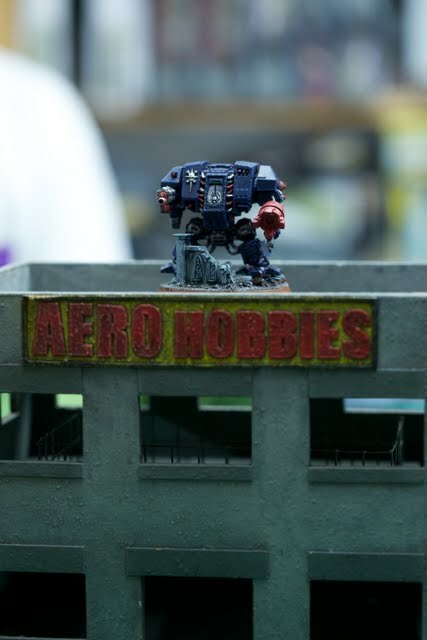 Those who point out that the player now has "nothing to do" during his bye round should be corrected that indeed the player can still play a game of 40k off the record. For our tournament circuit we aim to do just that and ensure players issued bye's will get a free game in during their round if that's what they wish to do. Unlike a ringer match however the game doesn't count in any way and the player has already "won" his round. To the detractors who say the bye is somehow unfair I say it's just as much chance as drawing a good or bad opponent in the first round. It's also a heck of lot more fair than playing a TO ringer with an undisclosed army. 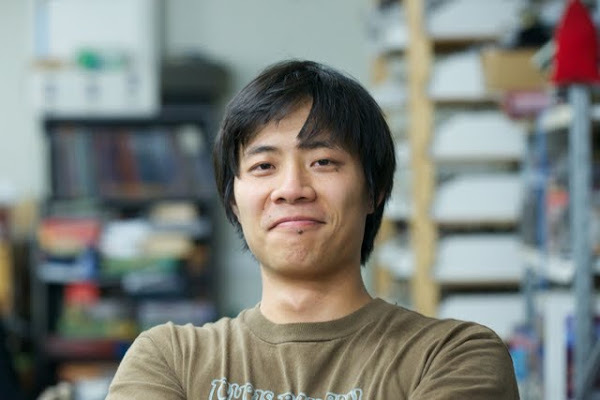 The player who gets the first round bye will surely be tested in subsequent rounds, and because no player will receive more than one bye, and all byes in the rounds beyond one are given to loser track players, the players will indeed be vetted before having any impact on the final rounds or the eventual winner of the tournament. Bye's are not ideal, but they are an elegant solution to handling an uneven number of players at your tournament. They are meant to be the exception not the rule, and hopefully have as little impact on the tournament standings as possible. May the best player win, with or without byes. Urza's Block Constructed has changed significantly from the vision of WOTC back when the set was released in the late 90's. A series of bannings to some of the more ridiculous cards like Time Spiral or Gaea's Cradle tempered the power level of the block quite a bit. That still didn't stop some powerful combos from emerging, especially with the "free" mechanic that allowed players to cast spells and then untap lands associated with them. Not nearly as powerful when comboed with the likes of the Cradle or Tolarian Academy. But still good in a vacuum. Note the robust ban list that exists for this block. The longest next to Mirrodin Block Constructed. What we have below are two decks that survived the bannings or more appropriately, became viable because of them. In the true spirit of the block the combo deck wasn't removed completely. Naturally to counter that is a permission deck. They square off against each other in a battle of resources. This is an interesting combo oriented deck that focuses on filling up your graveyard with enchantments (including Opalesence) and then dumping them all onto the battlefield with a well timed Replenish. Barring some kind of wrath effect the following turn by your opponent, that usually meant game over as you locked everything down with Opposition and then just ran your opponent over with an army of creature/enchantments. The combo is pretty straightforward. The deck uses the ridiculously ban worthy (yet it survived the bannings) frantic search and Attunement to find Replenish all the while helping the cause by dumping pricey enchantments into the graveyard including Opalescence. Lilting Refrain helps protect the combo from going off against the likes of enemy permission magic. Simply fill the yard, Replenish everything back into play, and win shortly after. Con-Troll is a more traditional "control" deck featuring cheap efficient creatures backed by permission magic and board sweep effects. The deck features card advantage in the form of Yavimaya Elder and Stroke of Genius and hopes to draw into enough counters to overwhelm the opponent. Powder Keg deals with swarm decks. Acridian and Albino Troll are cheap ways to stop an early rush and also finish the game once card advantage is firmly established. Both the above decks are good additions to your block constructed collection. They capture the theme of the day, use a lot of the unique mechanics introduced back then like Echo and the "Free" spells but also don't win in 2 turns like the Academy decks prevalent before a ban cycle kicked them out of tourney play and into the confines of some power trippers kitchen table.